If James Bond needed an in-town getaway bike, the Honda Grom 125F would be it! This thing is a blast to drive and will absolutely boogie! The Honda Grom is a veritable pocket rocket whose fun factor is off the monkey charts. Despite being relatively diminutive in size compared to its Honda contemporaries, the Honda Grom is still a ball of fun to ride. Credit for that goes to the company’s noted work on creating a suspension system that can handle all sorts of terrain. It’s no surprise that the Grom’s inverted hydraulic front fork suspension is the same one being used on some of Honda’s top-of-the-line sports bikes. The control and impressive road feel of the bike is one of its calling cards, allowing the bike to be enjoyed by riders who use it in a variety of purposes. It’s fuel-injection make this bike perform like a champ and still maintain it's reliability. Same with the electric starting that makes the Grom the perfect low-maintenance bike for riders. Complementing the inverted suspension are semi off-road tires wrapped and hydraulic disc brakes measuring 220mm in front and 190mm at the back. The latter is responsible for creating the Grom’s incredible stopping power, a very important feature that has lent to the bike receiving heapings of praise for being a safe and fun ride. Some key highlights of the Grom include the combined projector-style headlight and LED taillights, the soft and comfortable leather seat, and the multi-functional digital instrument panel that displays the speedometer, odometer, tachometer, A&B trip meters, clock, fuel gauge and indicator for low/high beam. With a curb weight of only 225 pounds and an amazing turning radius, this will get you in and out of tight spaces with no problem! 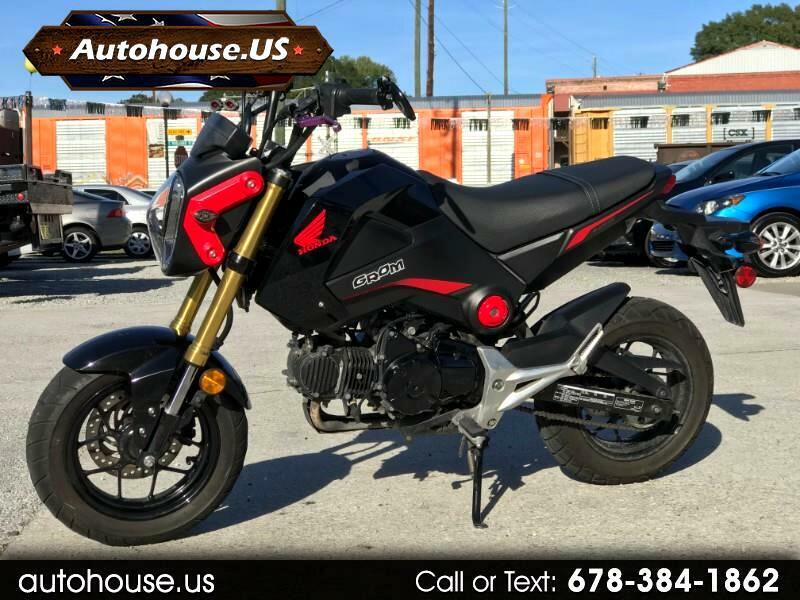 And at Autohouse, we can get you in and out riding on your Grom for only $2,750! Message: Thought you might be interested in this 2015 Honda Grom 125.